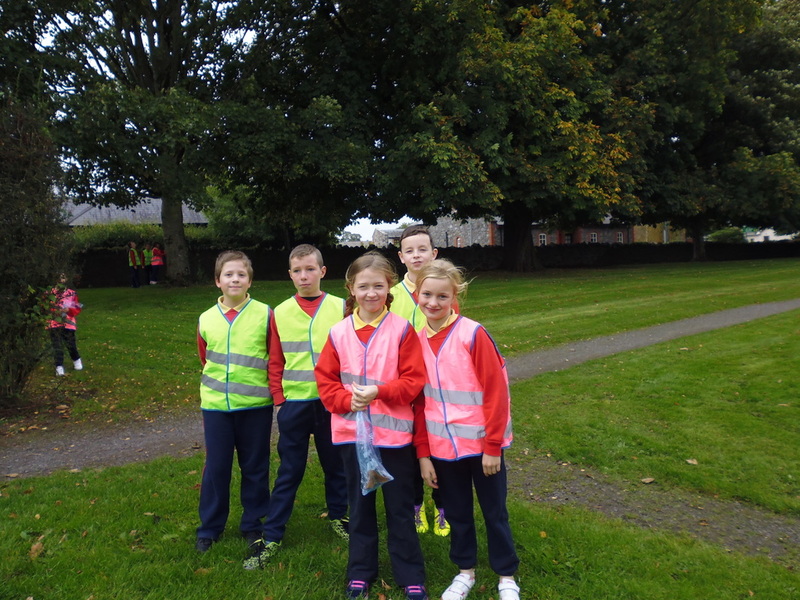 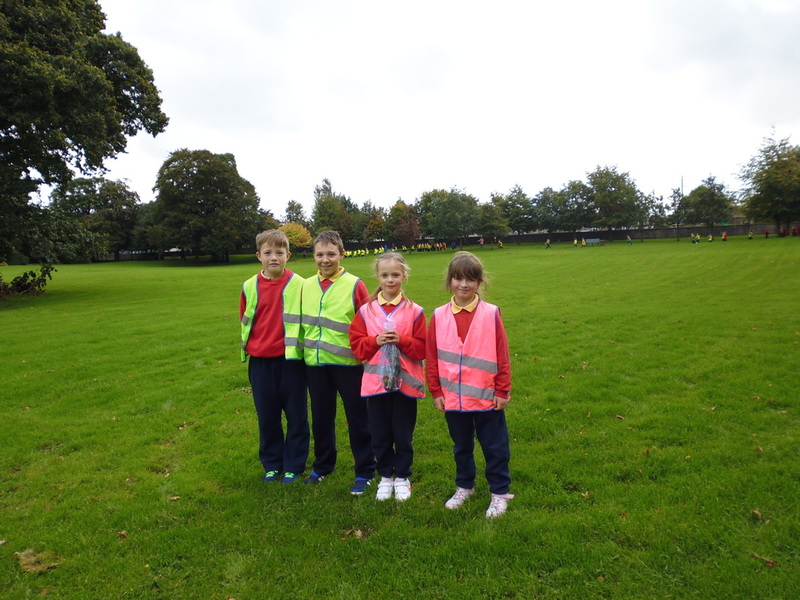 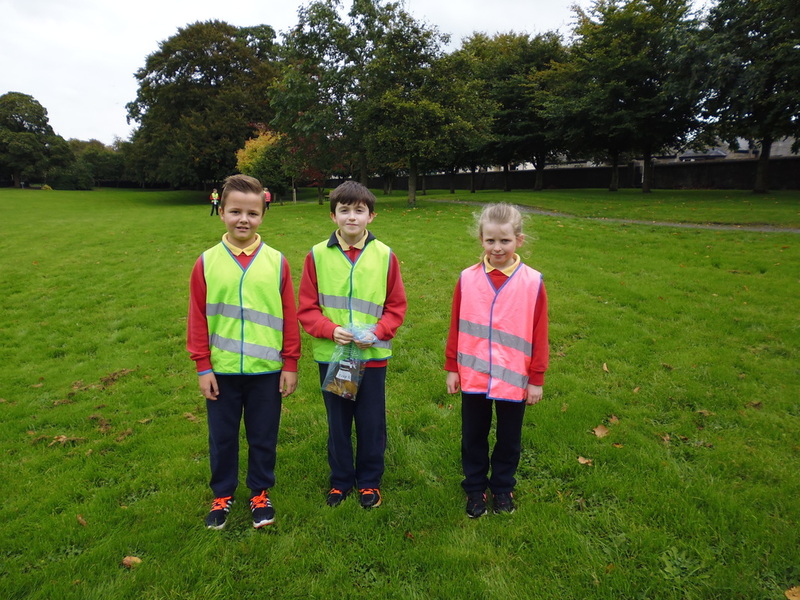 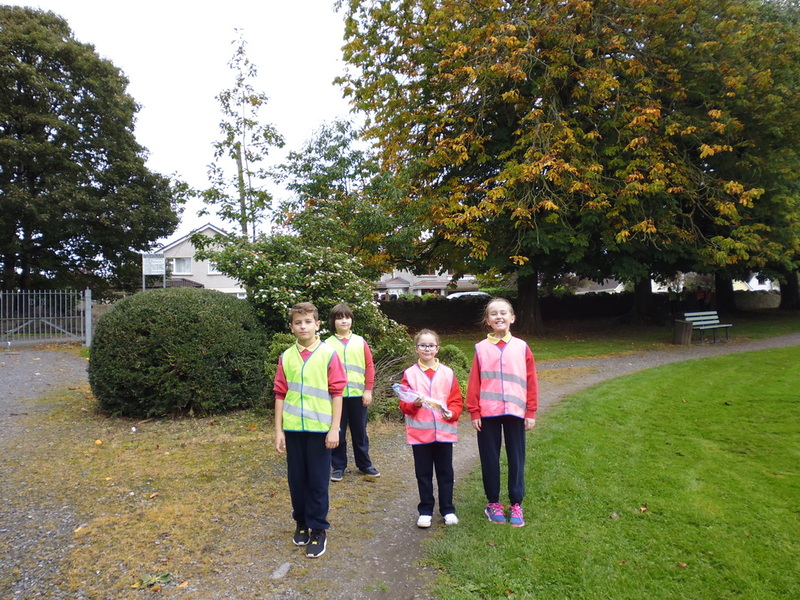 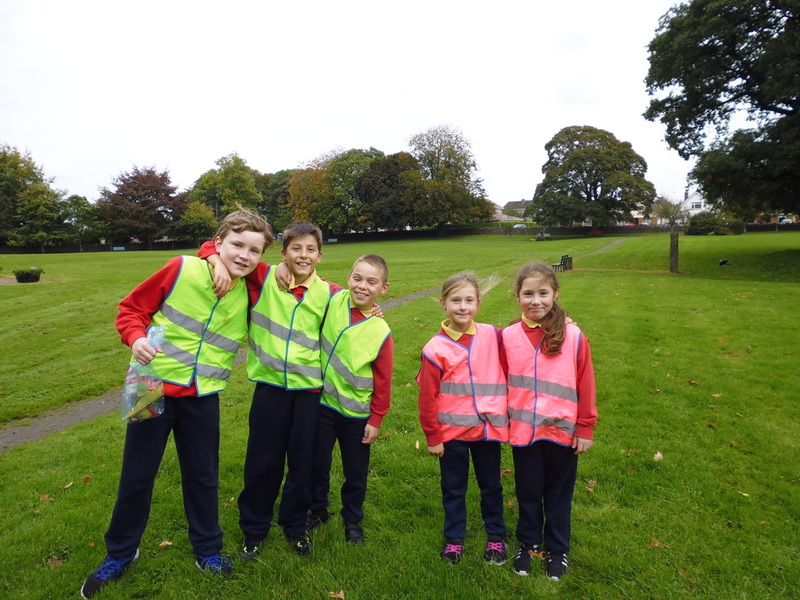 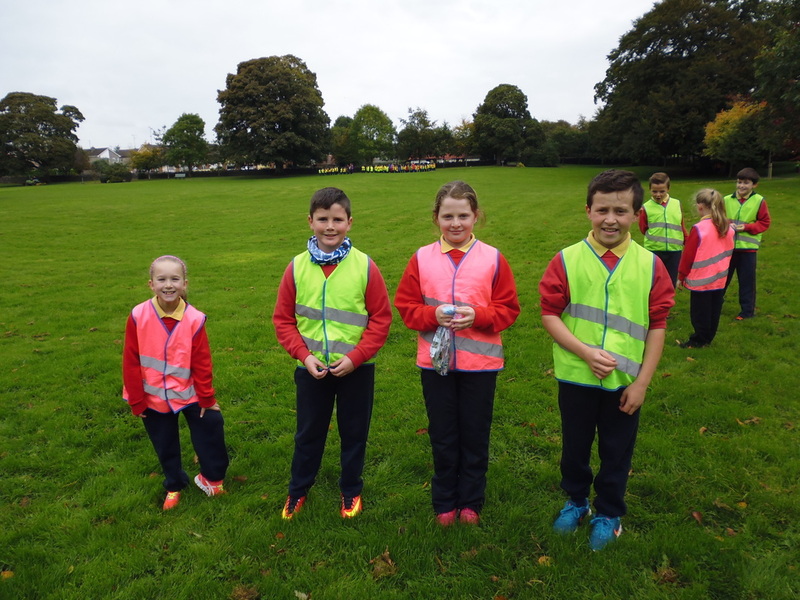 As part of our annual Sponsored Walk, the children participated in a History Trail of Athboy. 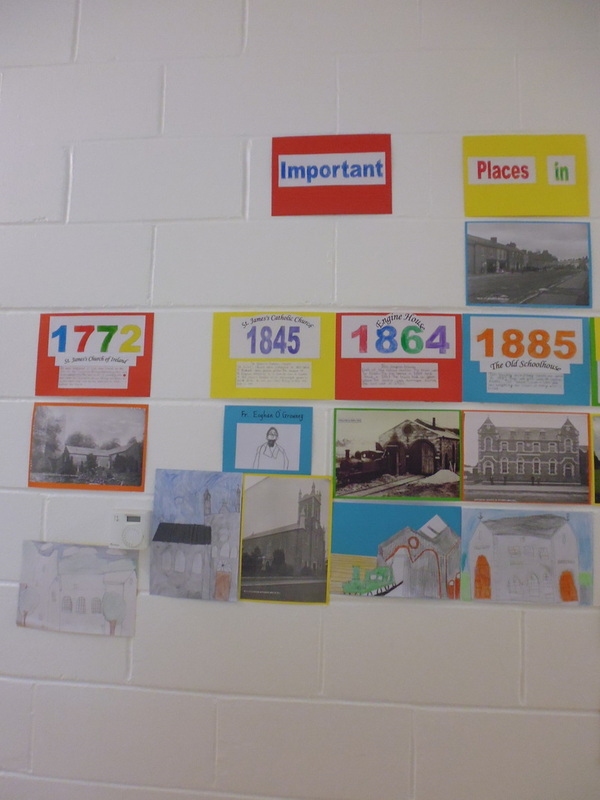 Upon completion of the trail they created a timeline and fact files of some of the important places they visited. 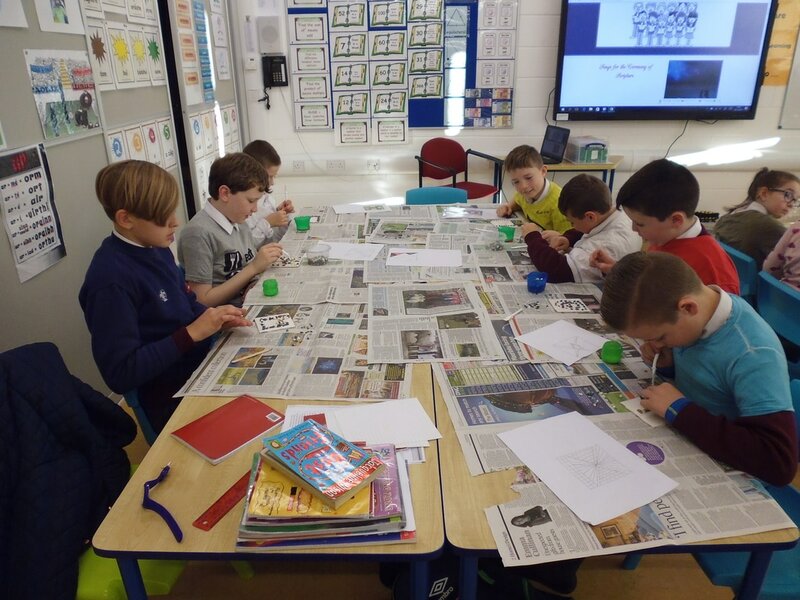 The children planned, designed and created their own Halloween Masks. 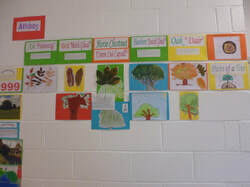 They also engaged in Self-Assessments and Peer-Assessments of their finished work. 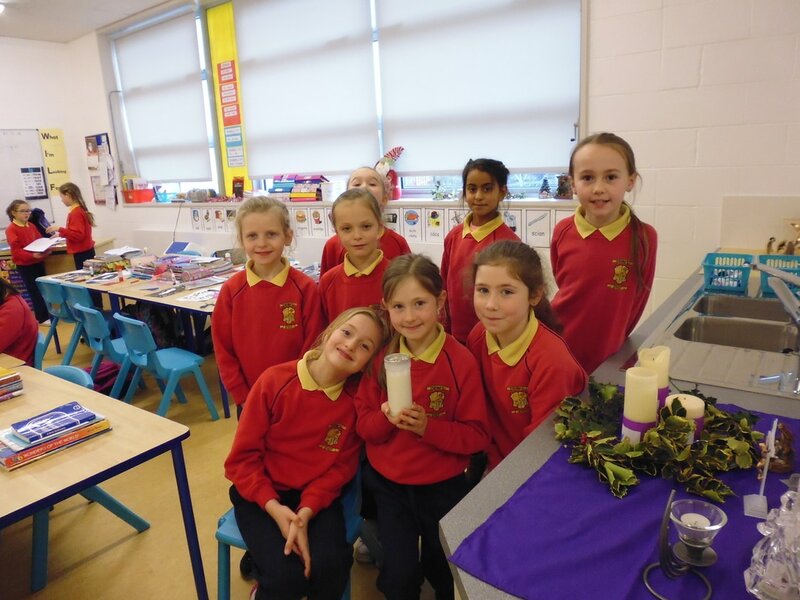 Drama inspired by "The Children of Lir"
Drama inspired by: Prokofiev's (a Russian composer) "Peter and the Wolf"
Here are photographs of the children with their finished Viking shields, swords and helmets. 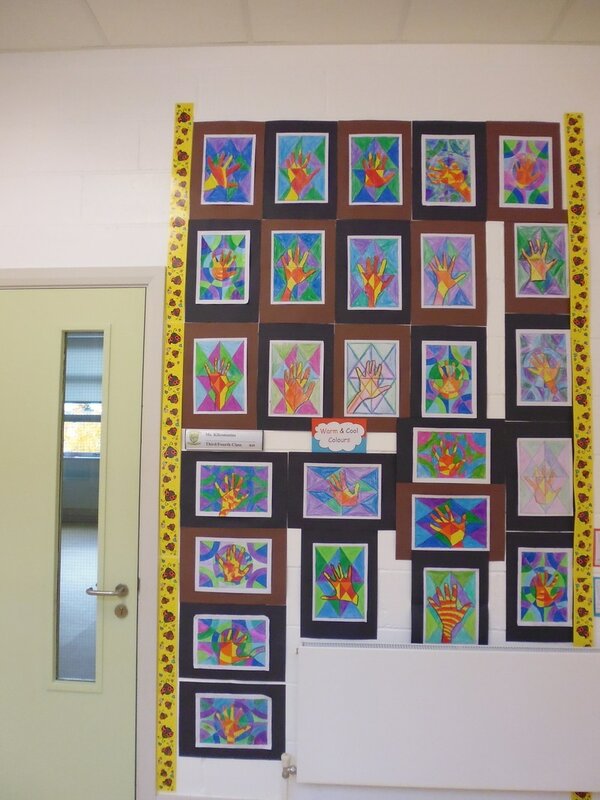 Don't they look well! 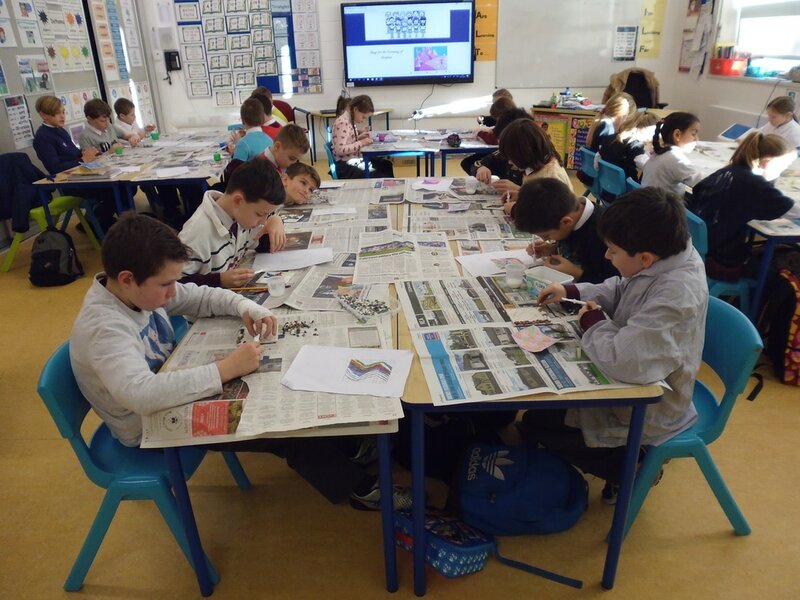 Prior to the designing and creating of Viking Swords the children were given an opportunity to see and examine a sword from the 1800s. 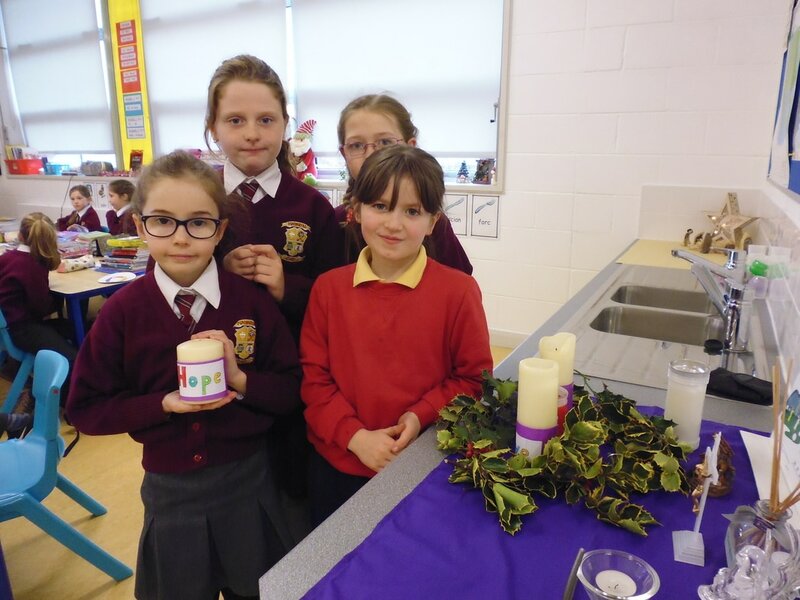 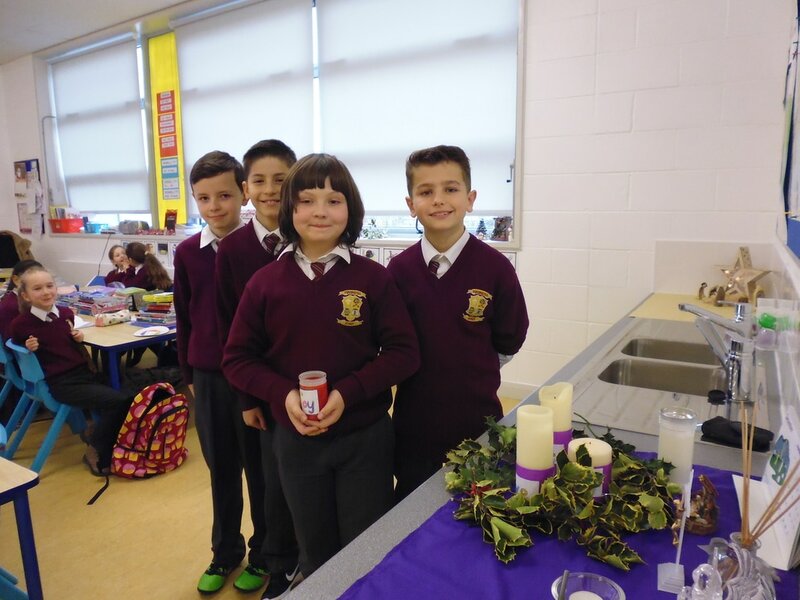 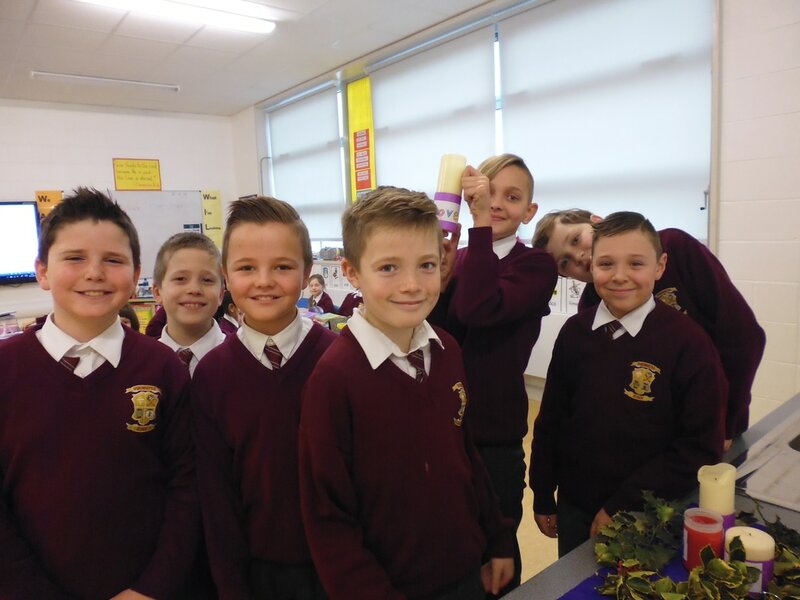 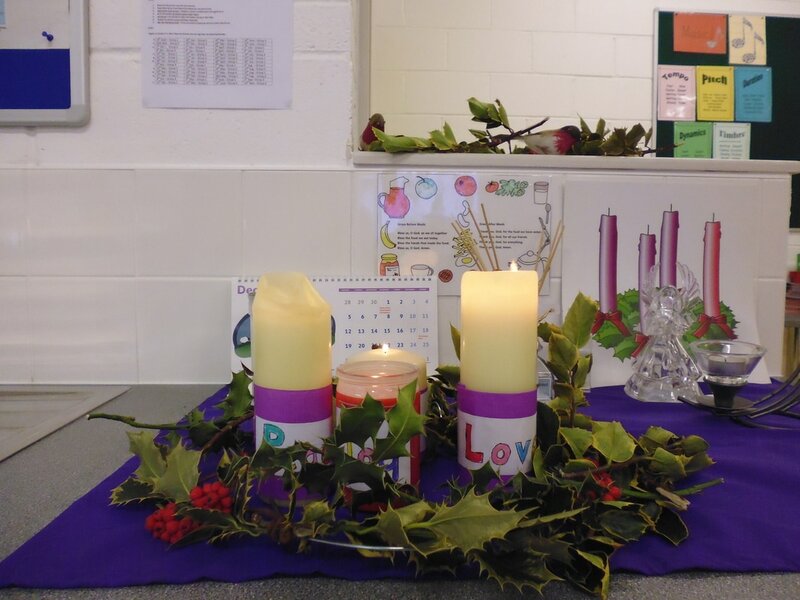 Together we created our own Advent Wreath which we used as a beautiful focal point during our religious services in preparation for Christmas. 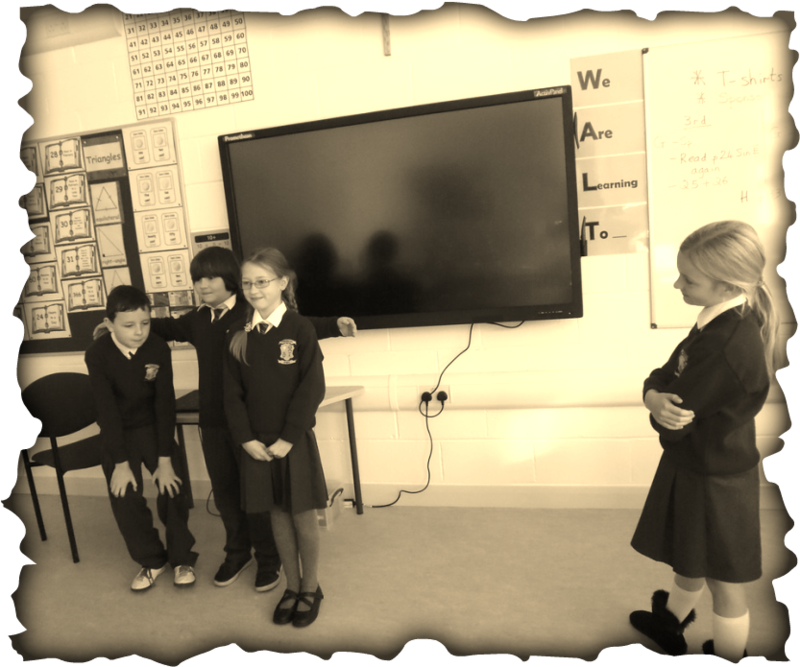 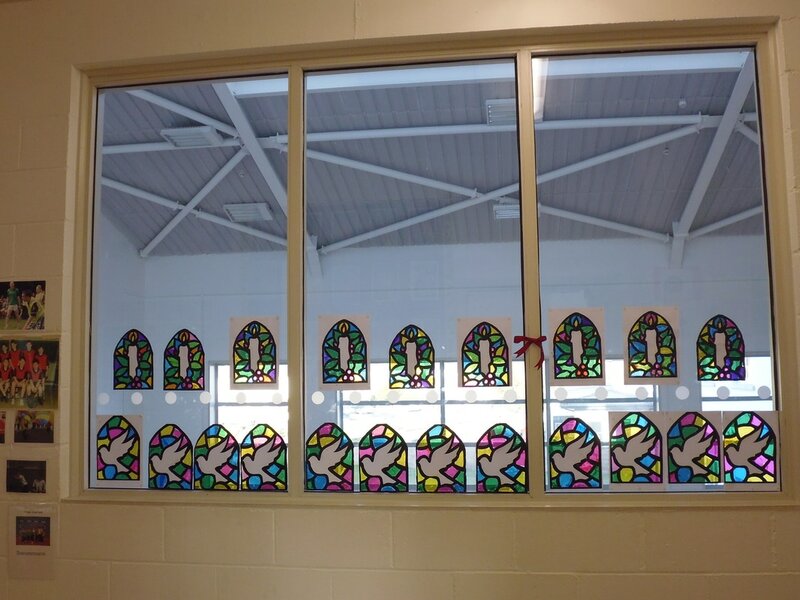 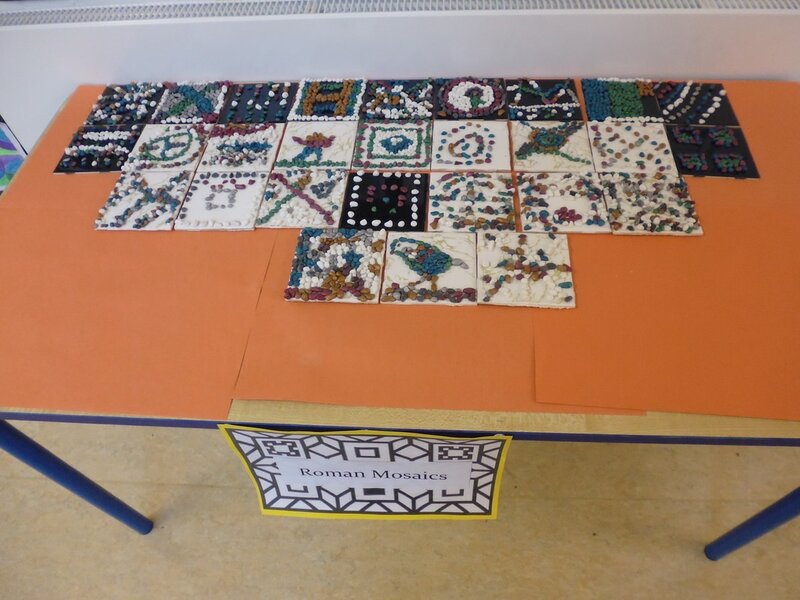 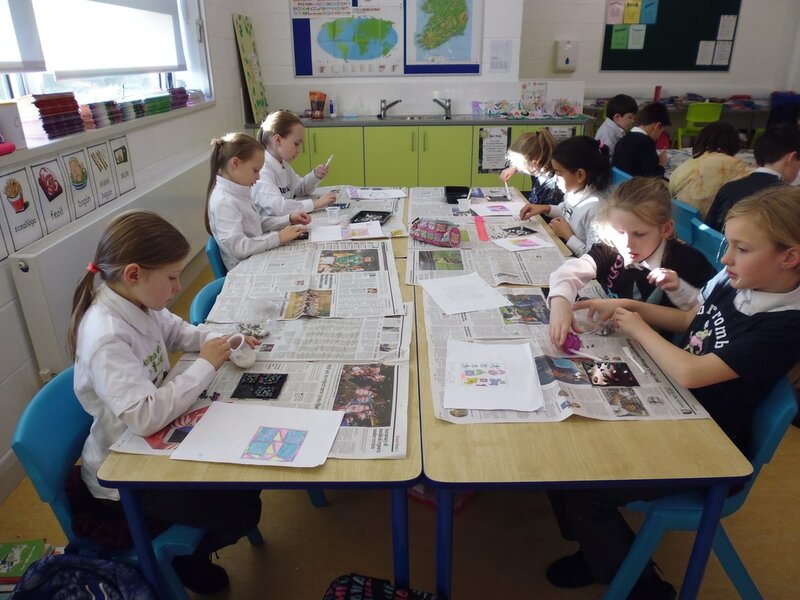 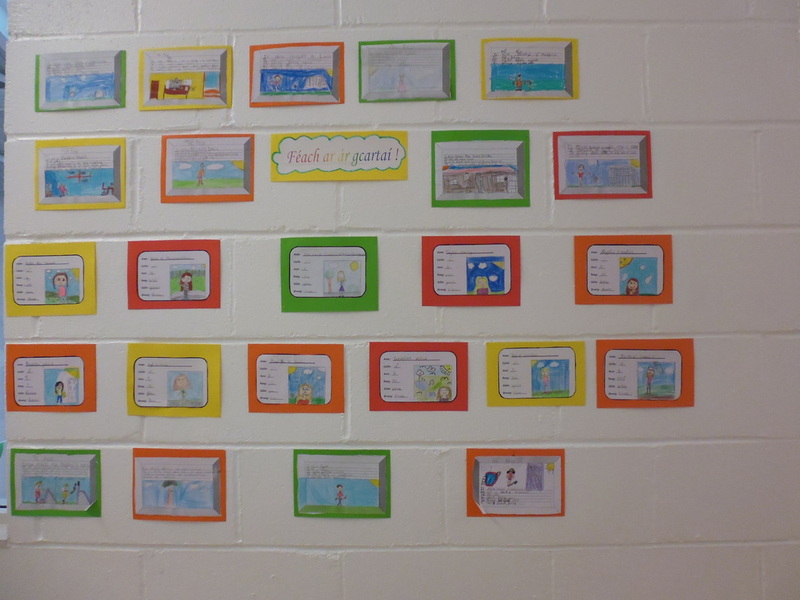 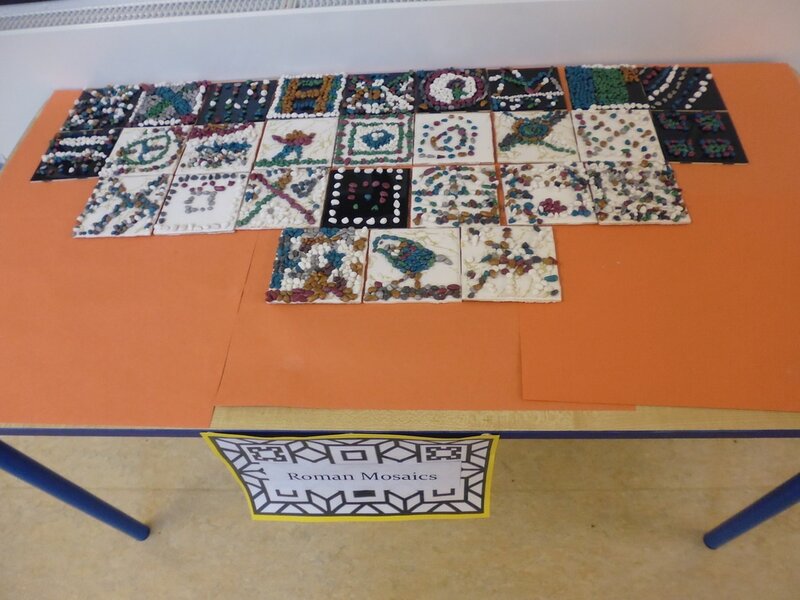 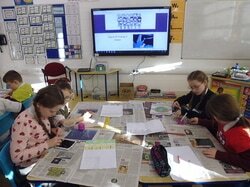 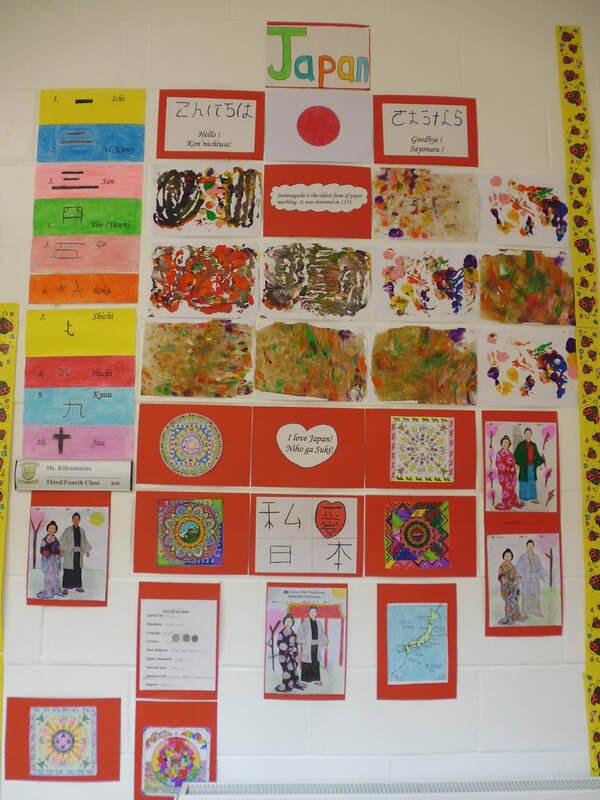 As part of our celebration of Seachtain na Gaeilge, the children participated in an Art Competition on "Seanfhocail". 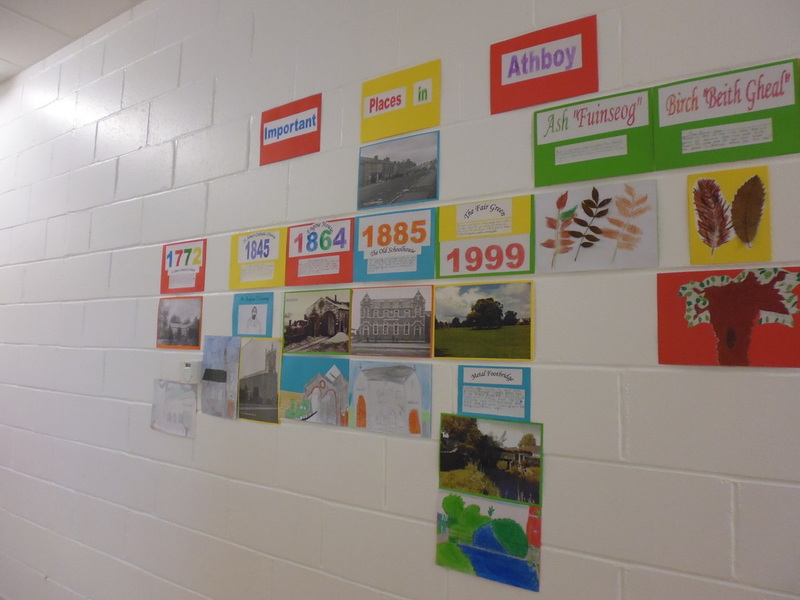 We also participated in Athboy's Saint Patrick's Day Parade Art Competition. 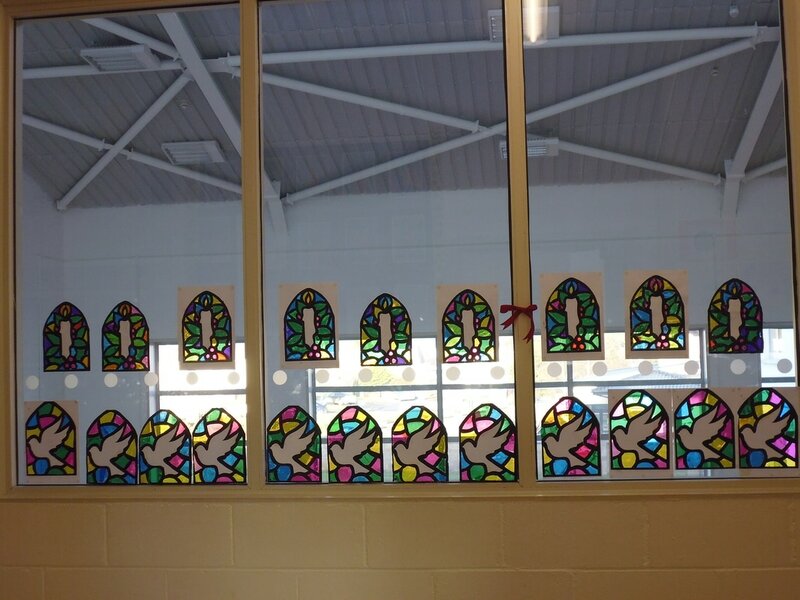 This year's theme was "Snakes and Scholars". 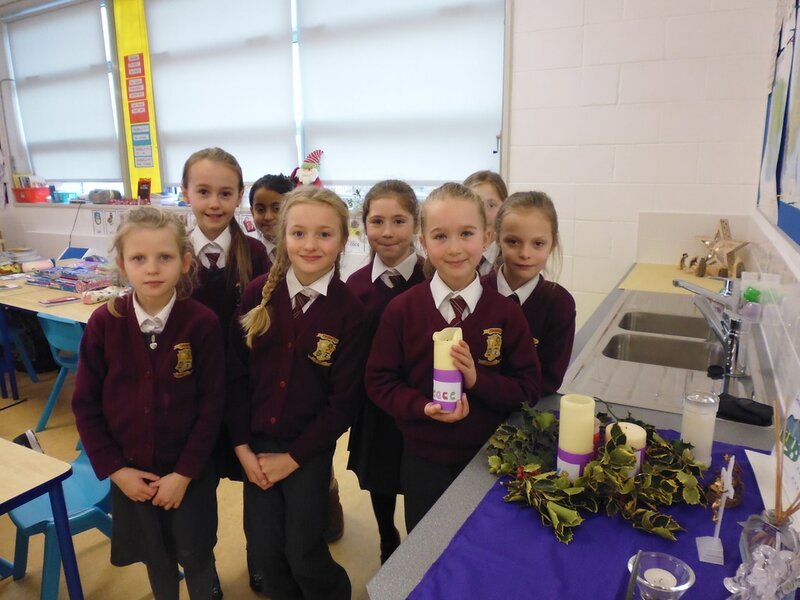 The children received "The Most Innovative Award" and were kindly given some delicious treats to share.